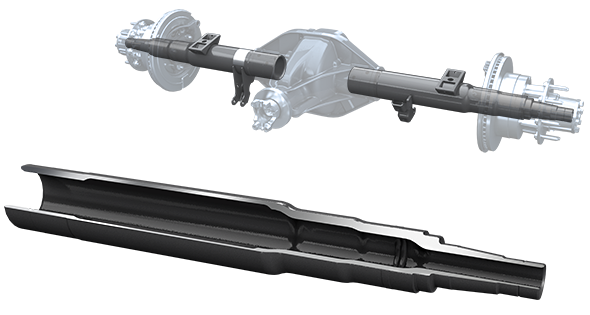 Dana’s axle tube expertise ensures that OEMs have high-strength axle technologies with a lightweight design. Dana’s unique axle tube technology features a strong, lightweight design with an optimized cross-section to maximize strength-to-weight ratio. 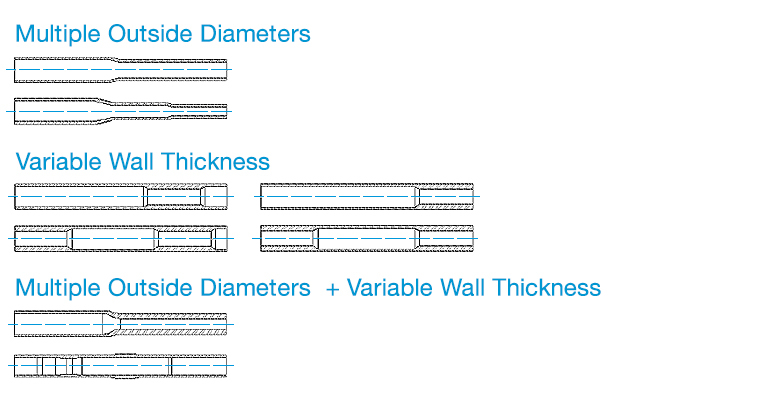 This product offers a thicker wall for highly stressed areas and welded areas, reduced wall thickness for low-stressed areas, along with various external and internal shapes, including oval. These axle tubes also provide superior tuning for stiffness and weight. Our axle tube innovations help OEMs improve yield strength and fuel economy. The Nextrusion™ cold extrusion process delivers a variable wall tubing with superior strength (up to 850 MPa without heat treatment) where it is needed, along with considerable weight savings (up to 25%) when compared to traditional manufacturing options. To help accommodate specific customer needs, Dana’s axle tube technology offers a variety of tube forming options.